Seems like Billy West was right when he said he didn’t like the new Pepsi Blue Hawaii flavor. 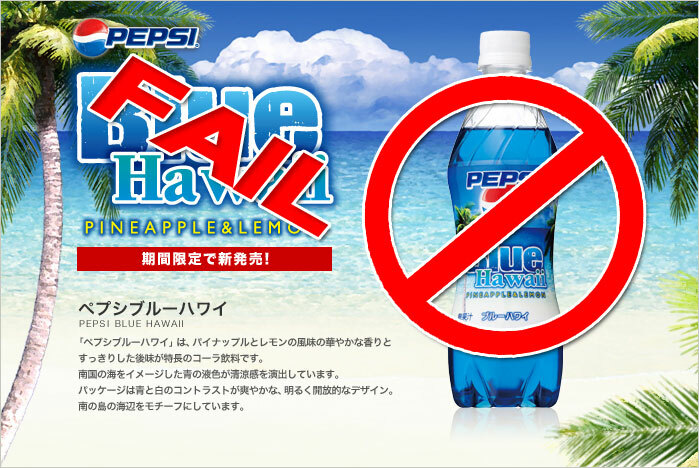 A marketing agency in Japan has reported that 83% of Japanese hate the new Pepsi Blue Hawaii flavor. I don’t think Pepsi was adventerous enough with their new flavor. Japan seems to like odd combinations that would make westerners say “WTF?” I can see U.S. tourists drinking something like this on their vacation to The Bahamas. Via Akihabara News.